Okay, back to this post. I am so excited to tell you about my Guided Math bundle. I included so much, because it is my goal to give you everything you need to successfully implement Guided Math in your classroom! I hope this resource can save you a lot of time. With all of your lesson plans written, and resources gathered in one place, I hope to help you gain back some of your precious free time this school year! Guided Math for Fifth Grade is composed of 13 units divided into four quarters. The units range anywhere from 1 week long to 5 weeks long, depending on the standard(s) being covered. There are 8 weeks of lesson plans for each quarter. (If you work in a traditional school, this will leave you one week for review or test prep each quarter. You can also use that extra week as a buffer week because we all know interruptions happen that get you off track.) Check out the year at a glance below. Guided Math is intended for small group instruction done by the teacher. These lessons are designed to be done as targeted instruction in a group setting, but teachers may choose to use some of the materials in whole group lessons as well. 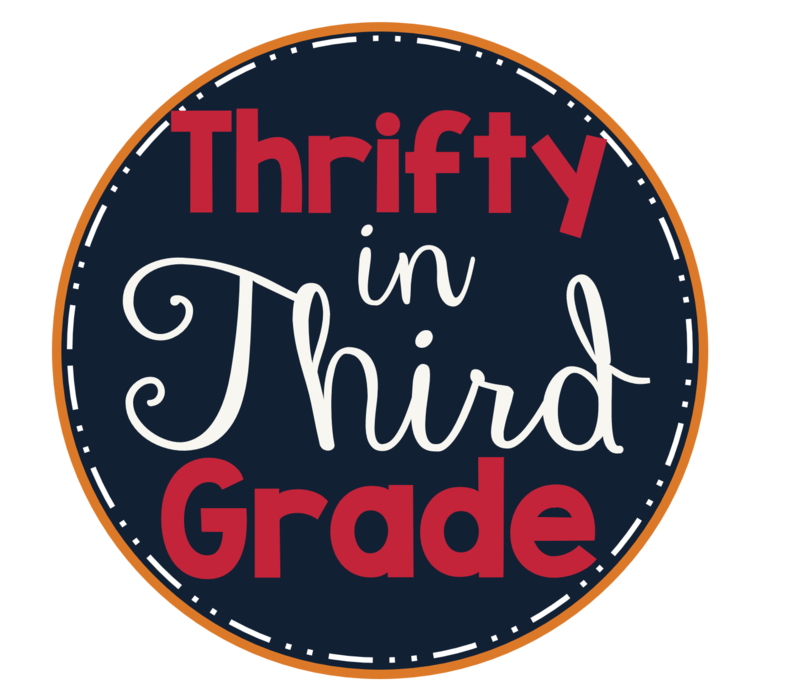 Binder spine labels are also included so you can keep all of your 5th Grade Guided Math materials organized! They come in a printer friendly version as well! 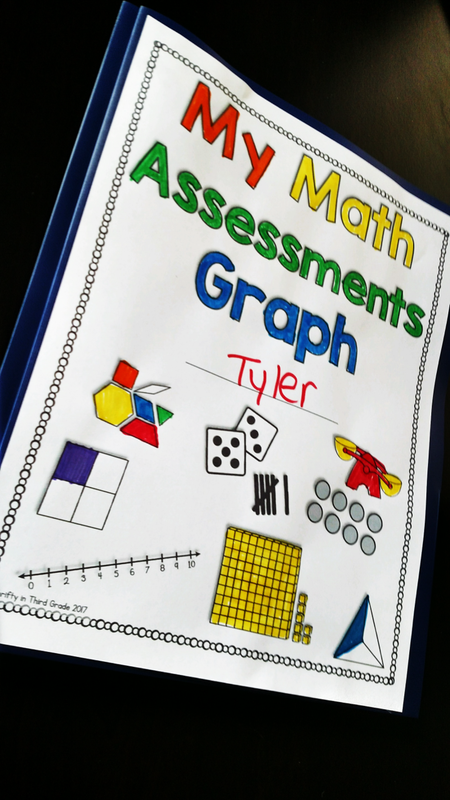 Want to download a free sample day from my Guided Math Curriculum? Click on your grade level! Scroll down to take a look at what's included! 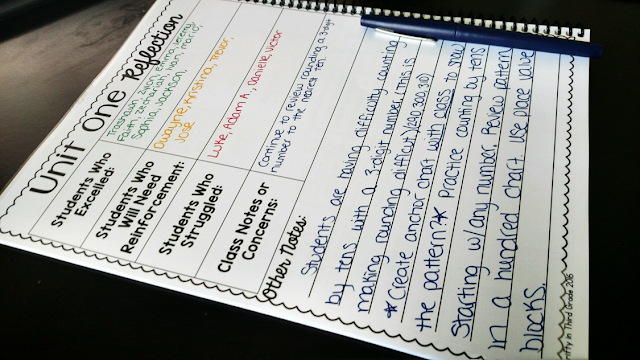 Vocabulary cards, definitions, and questions from the lessons are provided to display. You can put these in a pocket chart, or have them out on the table while you are teaching a lesson. Printables are intended to be used to support instruction and provide students with hands on tools, posters, templates, and more that can help them understand whatever topic you are covering. A practice page is included for each day and covers the objective taught this day. Use this during your small group lesson to check for understanding, or make it a part of your rotations! Extension activities are also included for each day. These can be used after students have been taught the day's lesson. You can add them to your rotations or centers. Additional resources are provided to support your instruction. These resources vary from foldables, to games, to extra practice. One of my favorite things in the Guided Math units are the unit overviews. Try color coding how well your class did with a lesson as you teach them. Save every unit overview and when its time to review for state testing, you know exactly what objectives to spend the most time reinforcing. The Guided Math Bundle also includes a Teacher Handbook & Overview. Inside you can find these unit reflection sheets. They are a great place to take notes and reflect on your teaching as you teach the units. Put down areas you want to review, things you want to do different next year, etc... 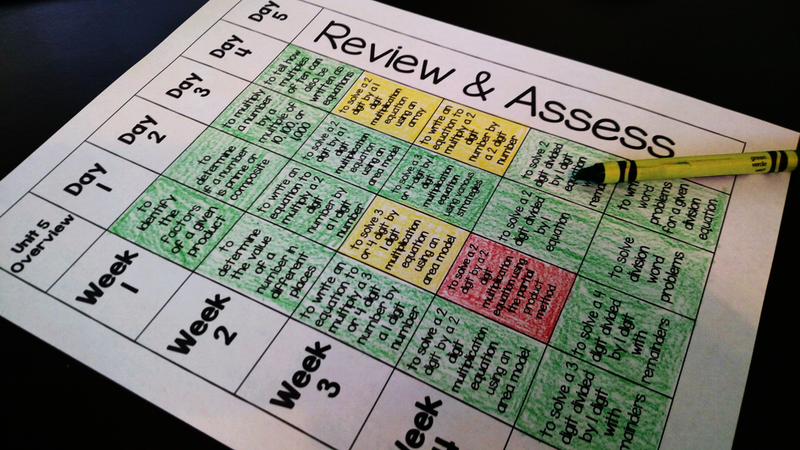 This is also something you can use to show your administrator that you reflect on your teaching practices! 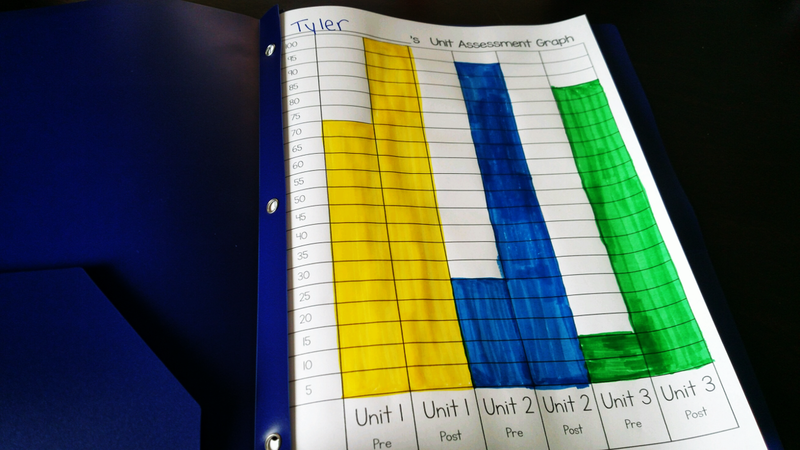 The Guided Math bundle has Student Graphs that you can use to allow students to graph their pre and post assessment scores to track their growth. There is also a generic graph that you can use to track scores from any math assessment you give. Get the 5th Grade Guided Math Bundle HERE. Click HERE to learn more about how I run Guided Math time in my classroom.